If you're planning a vacation to Florida, cancel it and come to Vanuatu instead. Vanuatu has everything from volcanoes, to caves, to river drifting. Let's start with Ambrym. Ambrym has a volcano just like Tanna. 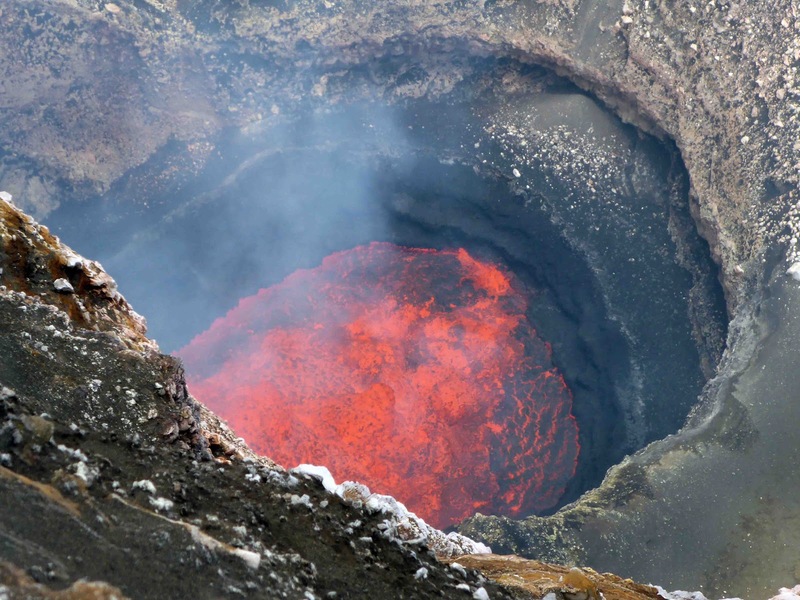 But instead of lava exploding out of the crater, there is a sheer drop hundreds of feet down into a bubbling, boiling pool of lava. But you do have to hike through the jungle, the ash fields, and up the side of the volcano. But anything for a pit of bubbling, boiling lava. Then we headed over to an island called Santo. We stopped at some other islands, but I forgot what we did there. So anyways, we are in a place called Luganville right now. We went on a tour called the Millennium Cave Tour. It was really fun because we got to stop at a village, hike through jungle, then we went into the caves. Before we went into the caves, we got face painted. We met some people named Cole and Caroline, too. They work for Peace Corps. Then we went canyoneering after a lunch stop. After that, we swam around and then went back to the village and had some lemon tea. Then we headed home. Now we are heading to the Banks islands in Vanuatu.